Australian qualifications and institutions are recognized globally for their high quality and excellence in academics. Graduates from Australia are very successful in finding jobs and hold prominent positions worldwide. Furthermore, they are readily accepted for further studies at leading international universities. Geographically Australia situates 11,000 Km southwest of North America and 3,200 kilometers southeast of mainland Asia. The largest island and the smallest continent in the world. Australia is blessed with temperate climate and the highlands and tablelands of Tasmania and the south eastern corner of the mainland are the coldest areas. It is a land of bright sunshine, surf beaches, tropical rivers, rainforests, mountain ranges, red deserts and rich green coastal plains. Summer is from December to February; autumn from March to May; winter from June to August; and spring from September to November. Australia is country of dynamic multiculturalism with invaluable contributions from migrants from all parts of the world. Australia owns a rich tradition of art and culture. Australians provide strong support towards films, music, theater, painting and a range of other fine arts forms. They are also a strong global presence regarding sports. The transportation options at Australia are wide and well equipped. It has an extensive public transport system that includes trains, buses, tramways, ferries, two major national airlines and a number of regional airlines. Metropolitan areas are divided into zones and your ticket type and cost depends on which zone you are going to travel in and for how long. Tickets are sold at train stations, on buses and trams and at news agencies. Australia’s system of education is of the highest standard and enjoys international renown. Australia is widely recognized as a world leader in the field of international education and English language training. The annual tuition fee varies from AU$ 16000 to AU$ 40000 (i.e. Rs 8 lakhs to Rs. 20 lakhs) depending on the university or college. Approximate annual living expenses of an Indian student would be in the range of AU$ 15000 to AU$ 20000. The average international student in Australia spends about $320 per week on housing, food, clothing, entertainment, transport, international and domestic travel, telephone and incidental costs. In Australia accommodation will not be a problem for international students. There are several options like university flats or halls of residence, private accommodation or home-stays or farm-stays. Most of the students opt for university accommodation since it makes the university life much livelier. It makes you mingle with other students on a long term. Generally, there are three types of housing available to students. The on campus housing provides halls of residence and this can be sometimes hard to secure as spaces are limited. Fees will vary depending on which school you attend, and most provide meals and some furniture. The student can stay at flat or rental houses during their academic education preferably in the second or third year. Home stay is available in Australia which is a good option for those who want to experience the real Australian culture as it will involve living with an Australian family either with your own private room, or shared. The most popular courses for Indian students in Australia are Engineering (All specialties including Mining, Petroleum), Information Technology, Information Systems, Biotechnology, International Business, Hospitality & Tourism Management, Accounting, Business Administration and Social work. Also there are many students choose health related courses like Nursing, Pharmacy, Podiatry, Physiotherapy etc. The top universities require 75-85 % in 12th Std for undergraduate students. Any GOOD university requires – 65 to 70 %. Masters require – 60-65 % in relevant degrees. IELTS is a compulsory exam required by all the students planning to go for Australian studies. Minimum scores required – 6.0/9 for UG and 6.5 / 9 PG students. Some MBA programmes require no work experience. However fewTOP MBA programs(like Melbourne Business School) will require 3 to 5 years of work experience. And will also require a GMAT score of 600/800. An average GMAT scores required are 570-600.
International English Language Testing System is normally known as IELTS which is administered by University of Cambridge Local Examination Syndicate (UCLES) ,British Council and IDP Education Australia. The score of IELTS is valid for 2 years. The test fee comprises Rs. 11,800/. For more info visit the official website at www.britishcouncil.org or www.ieltsindia.com. Students can make registration either in person or by mail. Test of English as a Foreign Language (TOEFLis a standardized test to measure the English language ability of non-native speakers wishing to enroll in English-speaking universities. The test is accepted by many English-speaking academic and professional institutions. For admissions, the applicant needs to demonstrate sufficient academic preparation for the proposed course and required English proficiency. Also Universities do check the genuine temporary entrant (GTE) requirement, which is an integrity measure to ensure that the student visa programme is used as intended and not as a way for international students to maintain ongoing residency in Australia. Along with the COE, Education Documents and correct financial Documents the student will be applying for his educational visa. The Financial documents will defer according to the institution, fees, living cost, source of funds etc. Once all the relevant documents are ready Visa is filed through the Department of Immigration and Border Protection website. The organizations that offer scholarships for students have different criteria. All scholarships vary in their eligibility requirements, based on your English test score, country, or GPA. Students applying for a scholarship should ensure they meet the selection criteria of specific scholarships. Students must understand fully the terms and conditions of the scholarship. International students in Australia with student visa have for permission to work. Students are permitted to work 40 hours per fortnight during semesters and full-time during vacation periods. In some cases family members can apply for permission to work. It is not difficult to find part time jobs in Australia to supplement your living expenses. 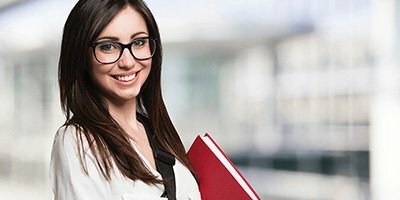 Your student visa normally entitles work rights as per your visa conditions and you can start working in Australia after you arrive in Australia and have begun studying. Australia is one among the few countries, which promote skilled migrant programs targeting young people having skills, education and abilities that will contribute to the Australian economy. International students with Australian qualifications account for about half the people assessed under the skilled migrant programs. There is a dearth of skilled manpower in Australia mainly in the fields like Engineering, Information Technology, Nursing and Accounting. Applicants must pass a points test and satisfy some basic requirements in order to get permanent residency (PR) in Australia. These include a maximum age limit of 45 years, English language proficiency, post-secondary school qualifications or work experience relevant to your occupation. Additional points are awarded to applicants with Australian qualifications. How Much Does It Cost For A TAFE Program, Bachelors Program And Masters Program? TAFE program will cost between AUS$ 12000-15000 per annum. Bachelors program will cost between AUS$18000-30000 per annum. Masters program will cost between AUS$20000-35000 per annum. How Many Hours Of Part Time Job Can An International Student Do? An international student can work for 40 hrs per fortnight during semesters and unlimited hours during semester breaks. If you are enrolled for a research program (Masters by research or PhD) you will not have any work restrictions. What Are The Different Pre-requisite Tests Required For Admission In Different Programs. (diploma, TAFE, Advance Diploma, Graduate Diploma, Graduate And Post Graduate Courses)? For all the programs listed above only IELTS is required. What Is PQP And When It Is Required? Students with low academic percentage and backlogs have to take PQP. PQP is Post Graduate Qualifying Program. Student has to undergo this program before he takes up the main course in Masters Program. What Is A Conditional Offer Letter Of Admission? If a student submits the documents required for admission to any University without IELTS score sheet and passing certificate of his current pursuing program a conditional offer letter of admission is obtained by the student. What Are The Major Intakes Of Admission At Australian Universities? Is GRE Required For Admission Into Australian Universities? Can The Student Apply For Admission Into Universities Without IELTS Score ? Yes, he can apply but he has to mention the date of test when he has scheduled to appear. University may give conditional offer of admission subject to the fulfillment of requirement of IELTS score. What Are Medicals And When They Have To Be Done? What Is The Process Time To Get e-CoE? To obtain ane-CoE(electronic conformation of enrollment)after making the payment it will take minimum of one to two weeks depending upon the payment method, wire transfer of funds or through Demand Draft. What Is A Fully Sanctioned Bank Loan Letter? The bank loan, which does not have preliminary, or a partial sanction then it is called a fully sanctioned bank loan letter. Australian High Commission accepts only fully sanctioned bank loans. Is The Application For Admission Process Same For Australia And Other Countries? No, the process of admission varies from one country to another in terms of documentation and pre-requisite tests based on the program of study. It is very important to know the requirements before we apply to any particular country. Is Choosing The Country Like Australia And Then Initiating The Process Is The Right Factor In Studying Abroad? Yes, the primary step after deciding to go abroad is the country of preference. As one has to initiate the admission process based on the requirements of that particular country. Should I Choose A Country Like Australia Or Prefer Any Country, Which Is In Tune With My Long-term Objectives? You should definitely choose a country, which will help you attain your long-term objectives. This could also coincide with a country, which is a popular destination since they are designated so mainly because of the opportunities they offer. It is always better to choose a country based on the selected program of study. How Many Major Fields Of Study Are Available In Australia? There are over 200 major fields of study to choose from. Australia is one among very few nations in the world to offer different programs as per student choice..
What Is Elicos? When It Is Required? What Is The Duration Of ELICOS? Duration of ELICOS depends upon students present score of IELTS. Based on the score the students few weeks of ELICOS is designed by the admission department of Universities..
What Is The Right Time To Apply To Australian Universities? If the student initiates his admission at least 5 months prior to semester is considered as right time..
Do Australian Universities Follow Any Specified Ranking? Which Is The Best University In Australia?